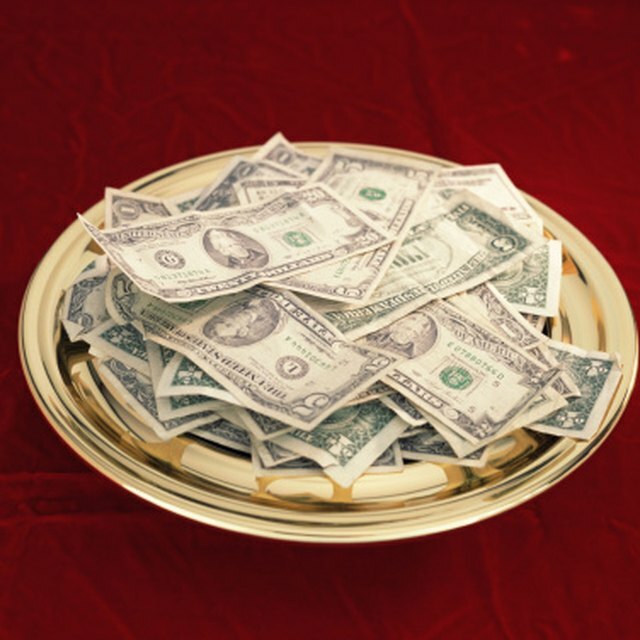 What Are Tithes & Offerings For? Tithes and offerings are the biblical principles that teach financial obedience to God. The tithe was introduced in the Old Testament, instructing the faithful to bring 10 percent of their first fruits to the temple. 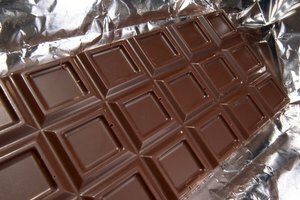 This is considered a law, or obligation, that can have negative consequences if ignored. Offerings cover everything over that initial tithe, and are optional, but the faithful give them in good faith that their stewardship will be rewarded. You can teach children these principles through fun and playful activities that build their esteem as well as their generosity. Sit down with your child and put 10 of anything on the table. Use coins, play money or even candy -- something fun that will capture their attention. Count the items out with your child and show that a tithe simply means one-tenth of what they have. 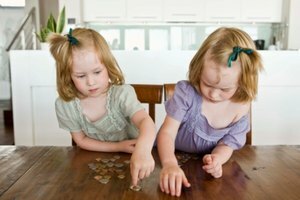 Teach them that they get to have all nine coins or pieces of candy; all they have to do is give one back. Explain that the offering can be anything they choose from what they have. Get a special jar or money bag where your child can place a weekly tithe they can give to their church. Have a separate container for any offerings that you have allowed the child to determine for himself. Give that container a purpose, such as buying food for a food pantry or toys for sick or poor children. Doing so teaches the Christian principle of charity. Allow them to watch how this investment grows so that they can see what can become of their generosity. If your child is saving offerings to buy things for charities, start small. Maybe a coloring book and some crayons for a hospitalized child, or a few cans of food for the pantry. Make this a big event that you do together. Allow the child to pick the items to give and pay for them herself. Also allow your child to give these items herself. Allowing her to see the good she can do will teach her how to be a cheerful and generous giver. Share in her excitement that she is doing charitable work. 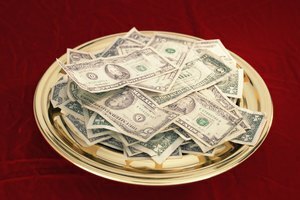 While many of the faithful consider tithing a biblical duty, the last thing your child may want to do is to give away his tithes and offerings. He may see this action as a loss, rather than an opportunity to be blessed for being obedient. Don't force him to give, but use consequences instead. If he decides not to give his 10 percent, drop 10 coins down to nine and explain the biblical principle that being stingy with a tithe can impact how much money with which he is trusted. Likewise, if he is generous with his offerings, increase the initial 10 coins according to his attitude and willingness to be a faithful steward. Is It Deductible if a Donor Donates a Prize? What Kind of Present Do You Give When First Meeting the Parents of Your Boyfriend? Voight, Ginger. "Activities to Teach Children About Tithes & Offering." 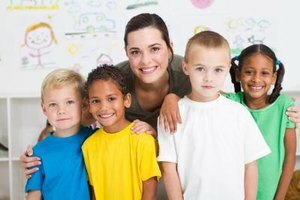 Synonym, https://classroom.synonym.com/activities-to-teach-children-about-tithes-offering-12082410.html. 29 September 2017.